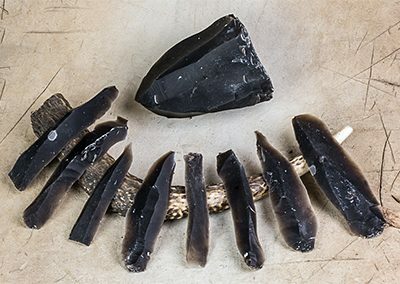 Axe-Head or Handaxe with re-fitting debitage – I usually produce these items for university research, where particular avenues of study dictate that the waste produced while making the finished item has equal value in terms of research potential. One benefit of examining the waste or ‘debitage’ is that it provides researchers with a complete record of every decision made by the knapper and how each blow was struck. They also make the most awesome (and frustrating) three-dimensional jigsaw puzzles! 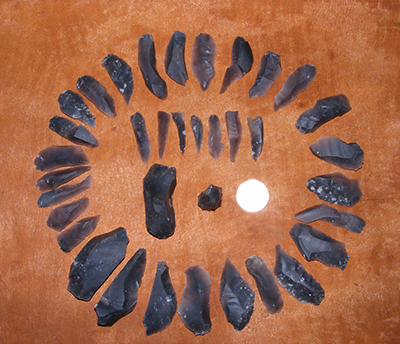 Be the first to review “Axe head/handaxe with re-fitting debitage” Click here to cancel reply.